A Dapper Stay at Howard Johnson Anaheim! I headed to Disneyland for my family’s semi-annual trip for Dapper Day weekend! Since we were going to be enjoying a whole weekend at Disneyland, I wanted to stay nearby. For the first time, my family and I stayed at Howard Johnson Anaheim – I went not knowing what to expect (except a short walk to the parks). Upon walking in, I loved the clean, mod retro design of the lobby – it was making me extra excited to see my room! While we waited for our room to be ready, we headed to Castaway Cove, a pirate-themed water play area for the family. My daughter and I spent the whole afternoon there – it was so fun and relaxing – my daughter could go down numerous water slides, splash pads, and we could all relax in a jacuzzi in the same space. After the Castaway Cove fun, we went to go check into our two-queen-bed room, which had recently been part of Howard Johnson Anaheim’s remodeling! The room was just as retro as the lobby, with a clean, mod look and pops of bold colors. The beds were incredibly comfortable (not too firm or too soft). And there was even a mini fridge, microwaves, and Keurig machine. The room was made complete with Disney art throughout the room. 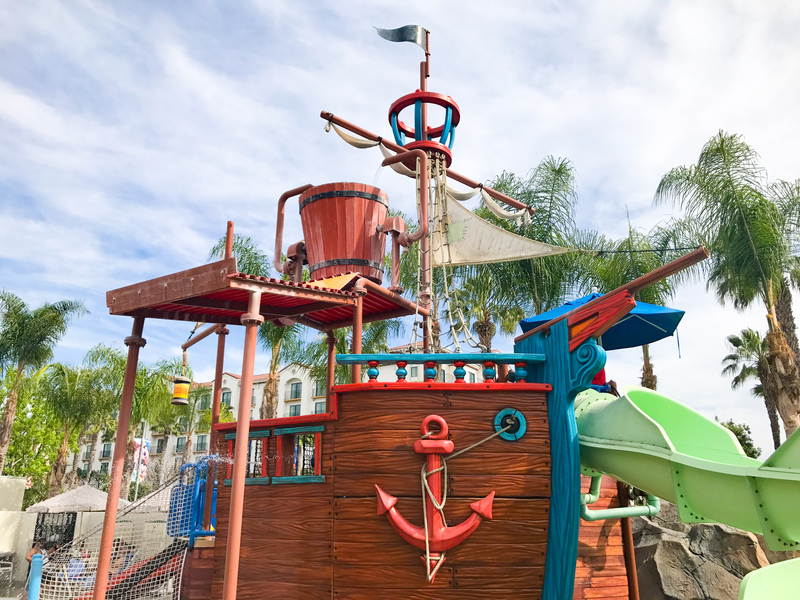 The stay exceeded my expectations, not only from the comfort and decor of the hotel, but also that it was so close to Disneyland, plus I loved that you could both relax (they have a second pool outside Castaway Cove) or play as a family at Howard Johnson Anaheim!